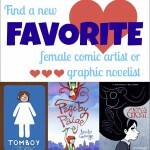 As summer begins, it is a perfect time to celebrate comics about all aspects of summer vacation, whether this means camp, family vacations, or lazy days with friends. Hopefully these books will make the ideal companion during your summer travels, reading on a beach, or at your local park. Slice of Paradise by Kevin Dooley. CC By 2.0. 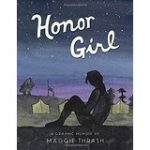 Honor Girl by Maggie Thrash – Camp is a classic summer activity and this book tells the story of a frequent visitor to one such camp. Maggie has spent most of her summers at a traditional all-girls camp in Appalachia called Camp Bellflower for Girls. But, one summer is a bit different from the others. This book chronicles that summer when she was 15 years old and fell in love with one of the female counselors at the camp. Touching on the heartbreak of first loves and the triumph of developing traditional camp skills (in this case amazing abilities on the rifle range), this book will introduce readers to a new voice in graphic novel memoirs. This One Summer by Mariko Tamaki and Jillian Tamaki – 2015 was a big year for This One Summer, with the book becoming both a Caldecott and a Michael L. Printz Honor Book. Once you read it, you are sure to understand both of these awards and all of the other accolades that the book earned. Set at a lake house at the beach that Rose visits each year with her parents and some friends of the family, this book explores the sometimes tumultuous parts of growing up. Rose finds her summer filled with family drama and the issues of the local teens. 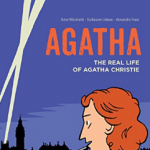 Though this isn’t necessarily a light read, it is one that will stay with readers. 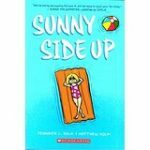 Sunny Side Up by Jennifer L. Holm and Matthew Holm – Based on their childhood, this graphic novel by the brother/sister team, who write the Babymouse series, follows Sunny, a ten-year old growing up in the last half of the 1970’s. As the book opens, she is arriving alone in Florida to visit her grandfather who lives in a retirement community. Slowly as the book progresses the story jumps back and forth between her time in Florida and the months at home in Pennsylvania where she lives with her parents, older brother and baby brother. Through these flashbacks, readers learn that Sunny’s brother has substance abuse problems that are starting to impact the family. This book is a well-written graphic novel that combines humor with a skillful handling of the heavy topic of substance abuse. It will appeal to a wide range of YA book fans. 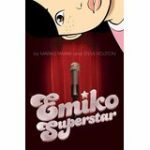 Emiko Superstar by Mariko Tamaki – Faced with a boring summer of babysitting and loneliness, Emiko isn’t exactly excited about her prospects. But when she discovers the local underground art scene, new avenues suddenly unfold before her. At first unsure of her place in this new social group, she slowly blossoms into a performance artist using the 1960’s looks of her grandmother and the life story of her employer. This story of growing up and finding yourself features an engaging, biracial protagonist who tackles relatable issues including the traumas of leading a double life. 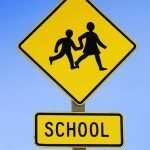 Chiggers by Hope Larson – After years of going to the same summer camp each year like clockwork, Abby is expecting this summer to be like every other one. But this is the year everything changes. Suddenly her best friend at camp has moved up to cabin assistant, her other friend has new piercings, making Abby feel deeply uncool and alone. And, when she finally finds a new friendship with a girl who comes to camp late, everything just gets more complicated. This book is sure to bring readers back to their own summer camp experiences. Will & Whit by Laura Lee Gulledge – Wilhelmina “Will” Huxstep is confronting personal tragedy and a (possibly related) fear of the dark by creating beautiful, functional, and fun light fixtures. As summer comes to a close, she is enjoying her chance to hang out with like-minded friends at the local art festival until a hurricane throws their plans into disarray. Faced with her fear in the form of a local blackout, Will must find a way to deal with the darkness. Gulledge’s colorful artwork complements the story and makes it a nice read for the end of the summer. Let us know in the comments if you do end up reading any of these during your summer break or tell us which perfect summer reads we have missed!